Aromatree has recently introduced a unique and elegant gift idea that leaves a long lasting impression on whosoever the recipient be. He may be your business associate, relative or friend! This gift idea is sure to please almost every one. 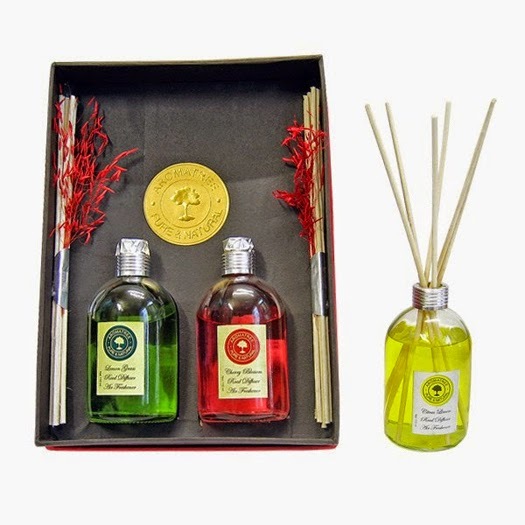 Aromatree has designed 2 gifts packs with its most popular product - Reed Diffuser. As a business person (corporate gift) you will find these as perfect gift idea this DIWALI. 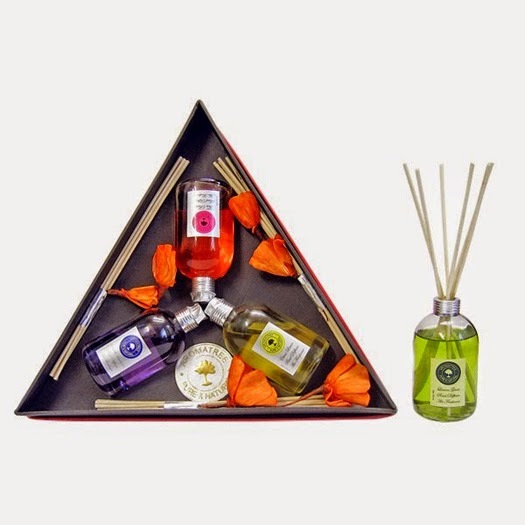 Reed Diffuser is an attractive and decorative alternative that surrounds your home or workplace with the fragrances that evoke the romance of delicate flowers, the freshness of ocean and air, the vibrance of juicy citrus, and the rejuvenating calmness of English lavender. The convenience of a reed diffuser allows you to fill your premises with your favorite aroma without the need of fire or electricity or batteries. Reed Diffuser is a container with slender porous reeds that soak in fragrant essential oil elixirs and fill the premises with a delightful aromas and is completely free from smoke. The Duo Gift pack contains 110 ml bottle each of English Lavender and Citrus Lemon along with two sets of bamboo reeds. The Trio Gift pack contains 110 ml bottle each of English Lavender, Citrus Lemon & Tea Rose along with three sets of bamboo reeds.